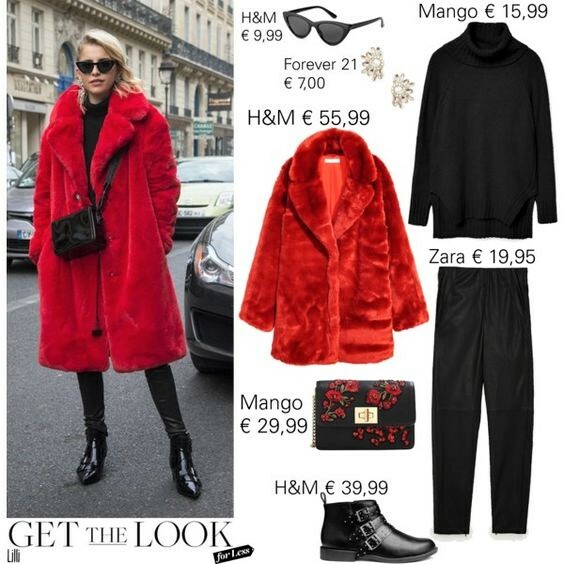 Love this style Lilli especially the red coat and black outfit. The black booties from H&M looks fabulous. I will check that out. Nooooo, quel pellicciotto rosso è stupendo.... deve essere mio!!! Diciamo che io sono avvantaggiata perché la pelliccia ce l’ho già! Bel look! I love your category ,,copy for less". You show always copies of so amazing styles just for less. Nobody need much money for wearing fashion and great styles. Caro Daur´s Look is fantastic, but she wearing to much high end fashion. Who have so much money?? I´m not - so thanky ou for inspiring me. Yes to that coat! Perfect dupe Lilli. Have a great week ahead.